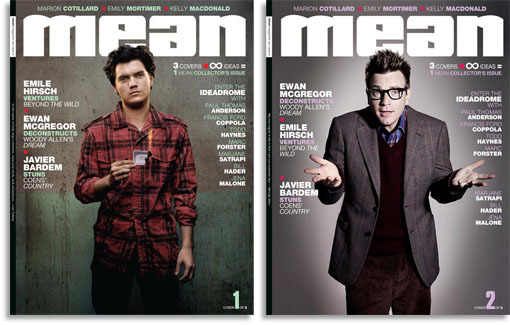 2009 saw the end of Mean magazine. 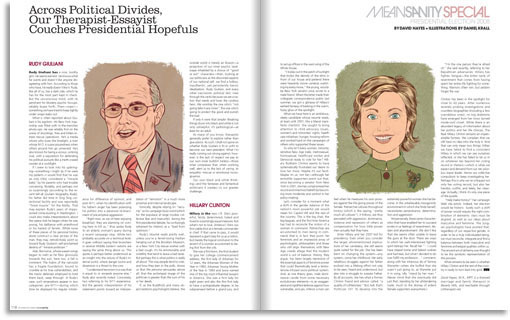 Officially Mean is on hiatus, but it’s unlikely that the print version will be resurrected any time soon. 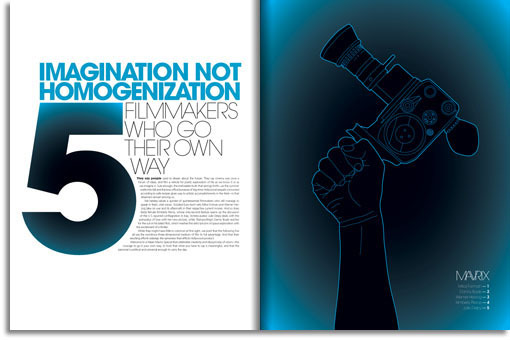 Mean and the creative vision of publisher, Kashy Khaledi, lives on in music video projects Cinemash with Microsoft and Supervideo on MTV.com. Here I’ve posted some spreads from the last four years. 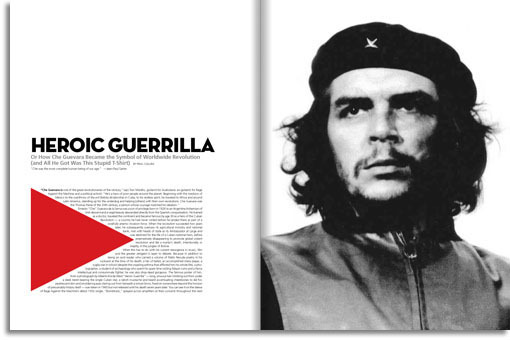 Editors were Andy Hunter, Sorina Diaconescu and Mya Stark. I hope fans of Mean enjoy some of these pages. 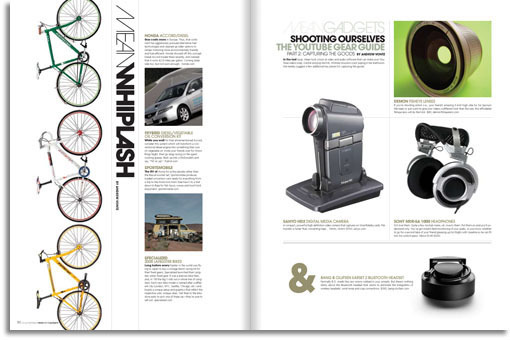 Around the same time that Mean was winding down, I started art directing two other magazines, Artillery and BrainWorld, and a literary journal Electric Literature. 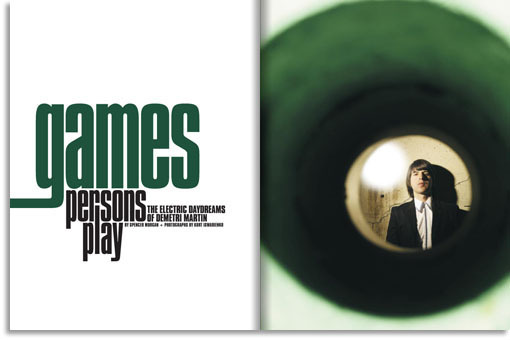 Posts of those mags can be found in the New Magazines section, and I’ve put a post of Electric Literature in the Books section. A lot of great creative in this issue, mostly thanks to Kashy and Mya Stark. 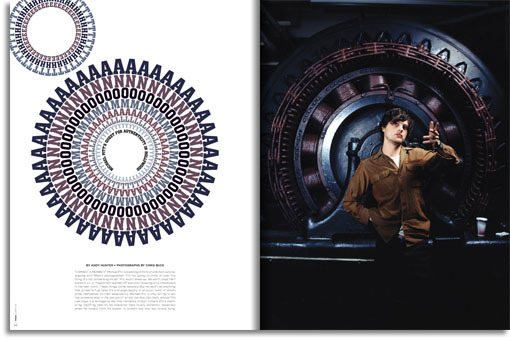 If you can find a copy, there’s a fun pictorial featuring Bill Hader that is shot by Kurt Iswarienko and also illustrated by comic artist Sean Phillips. Also, a great photo feature with the legendary Ben Kingsley playing Ian MacKaye of Minor Threat fame for fans of Punk history. 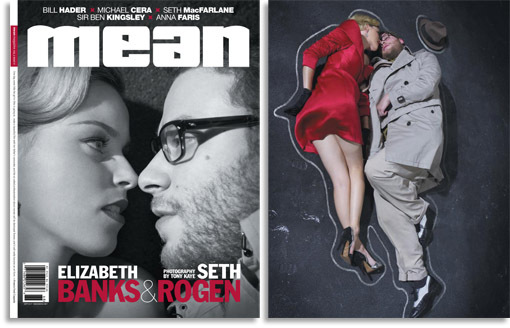 Elizabeth Banks and Seth Rogen story shot by Tony Kaye. Emma Stone story, photographed by Kurt Iswarienko. Anna Farris shot by Kurt Iswarienko. Summer Bishil spread, photographed by Kurt Iswarienko. 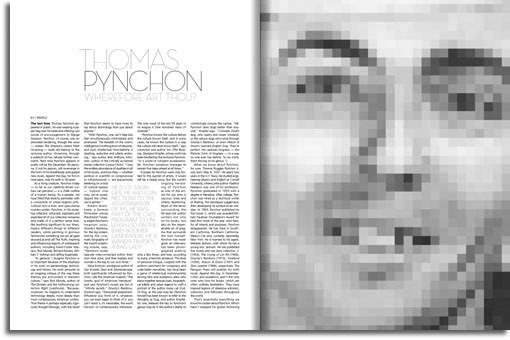 Intro spread for Seth MacFarlane story. Photograph by James Gooding. We used metallic silver as a fifth ink throughout this issue with the theme of dreams. Everywhere you see gray, imagine beautiful, shiny silver. 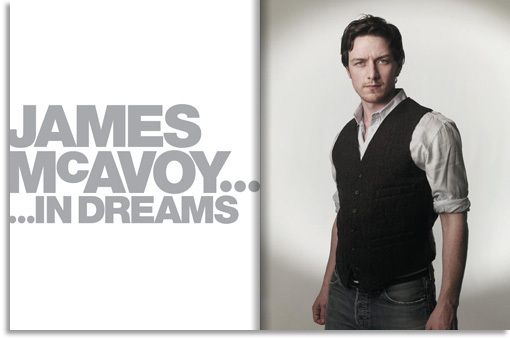 James McAvoy cover & story shot by Kurt Iswarienko. 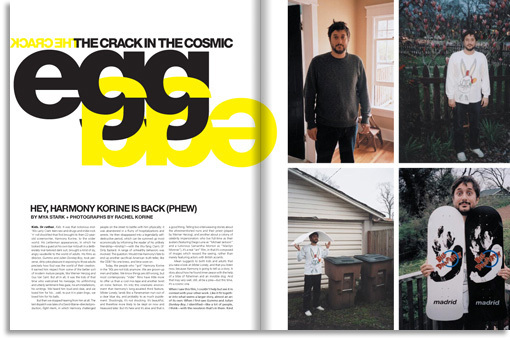 Harmony Korine shot by Rachel Korine. 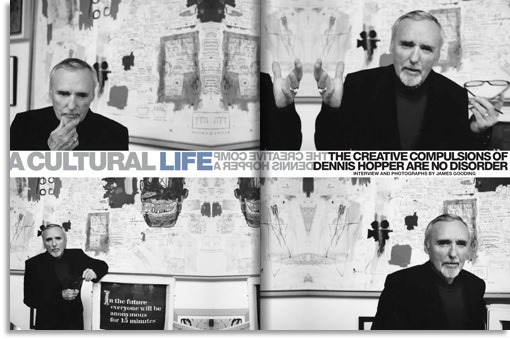 Dennis Hopper shot by Mr. James Gooding. 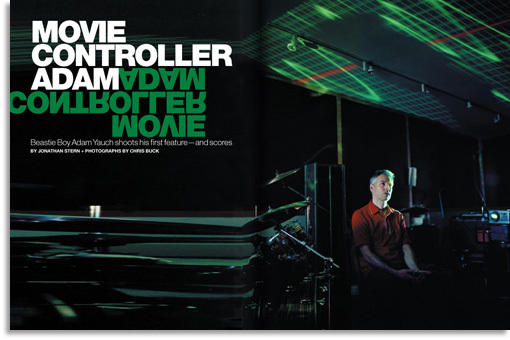 Adam Yauch shot by the awesome Chris Buck. Kate Beckinsale shot by Kurt Iswarienko. Demitri Martin also shot by Kurt. 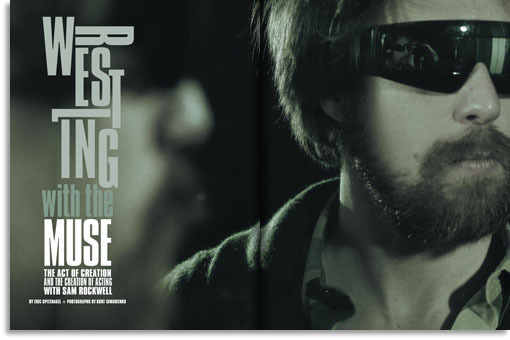 And Sam Rockwell shot by… you guessed it, the very talented Mr. Iswarienko. This extra-fat issue (that’s XtraPhat if you were born after 1985) featured three different covers. Top is the deadly Javier Bardem shot by Kurt Iswarienko, bottom-left is Emile Hirsch (burning his social security card) shot by Patrick Hoelck, and bottom-right is Ewan McGregor doing his best Woody Allen shot by Rankin. Kelly Macdonald shot by Andy Eaton. Emily Mortimer shot by Mr. Iswarienko. 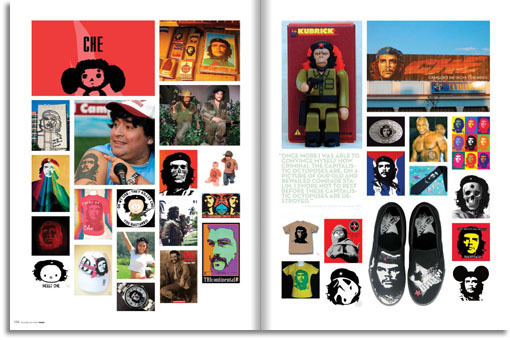 I include this spread only to mention the talented Daniel Krall who, along with the indefatigable Dr. Jordan Crane, has been doing cool portraits in the back of the book. Emily Blunt shot by Patrick Hoelck. 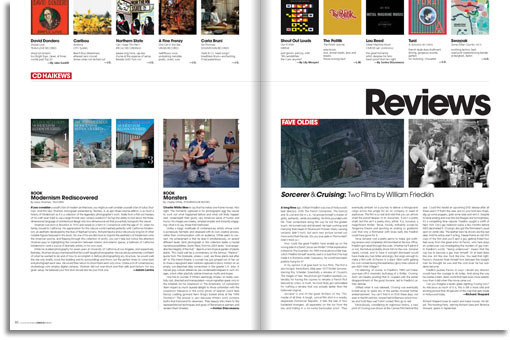 Intro spread for a film director package. 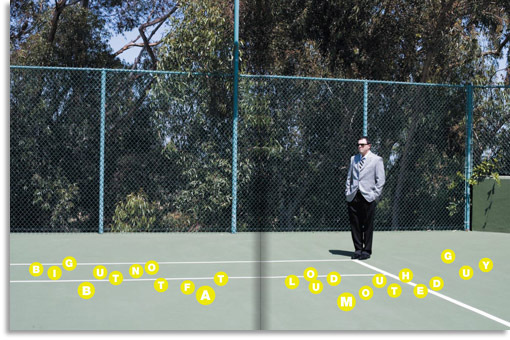 Couple back-of-the-book spreads. I just showed these pages because, even though the art is not original, sometimes I have just as much fun with them. John Krasinski shot by Patrick Hoelck. Amber Tamblyn shot by Jesse Dylan. Giovanni Ribisi shot by Alex Prager. 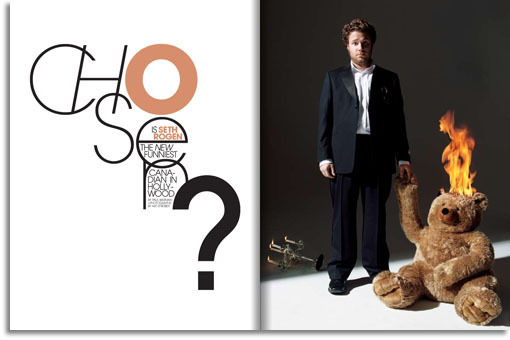 Seth Rogen shot by Art Streiber. 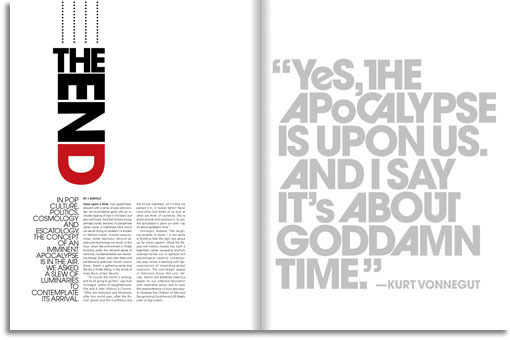 Intro spread for a package on the hypothetical apocalypse. 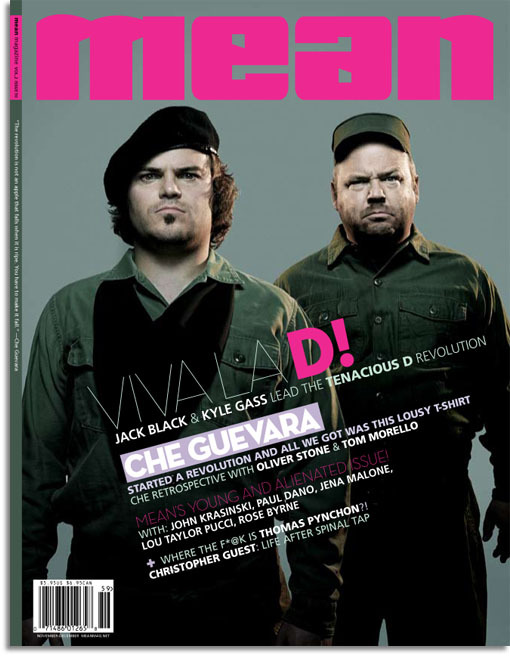 Tenacious D (Jack Black & Kyle Gass) as Che Guevara and Fidel Castro, shot by Patrick Hoelck. 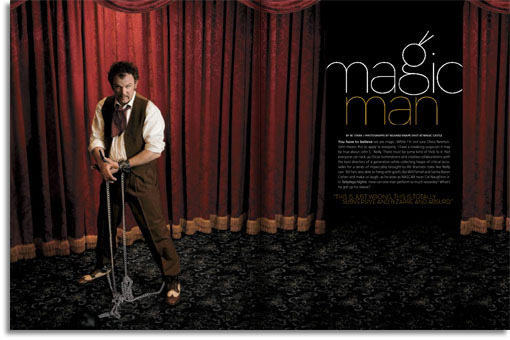 John C. Reilly shot by Richard Knapp. Anna Paquin shot by Roberto D’este. 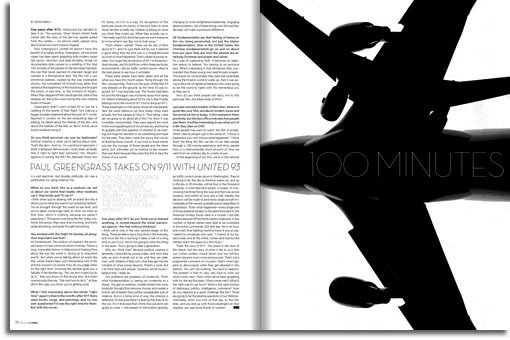 Story on Greengrass’ film United 93. I did the photo manipulation and composite to illustrate. Lili Taylor shot by Chris Buck. 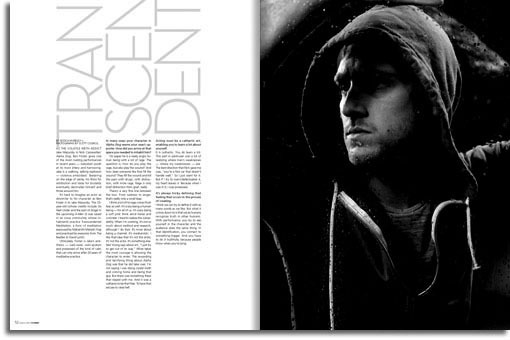 Ben Foster shot by Scott Council. Anna Faris shot by Patrick Hoelck. 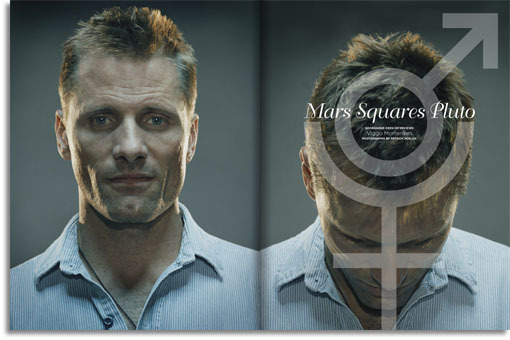 Viggo Mortensen shot by Patrick Hoelck. Mortensen designed his own T-shirt at the shoot. Jessica Biel shot by Norman Jean Roy. Michael Pitt shot by Chris Buck. Elisha Cuthbert shot by Patrick Hoelck. 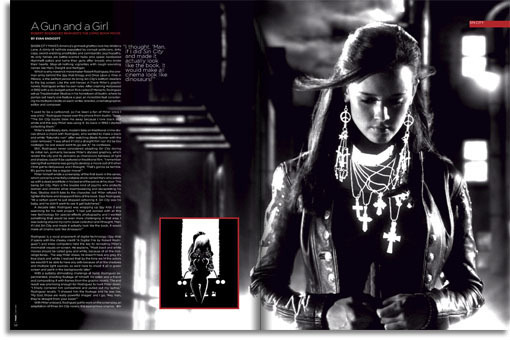 Rosario Dawson spread shot by Sheryl Nields done around the release of Sin City. Sin City story. 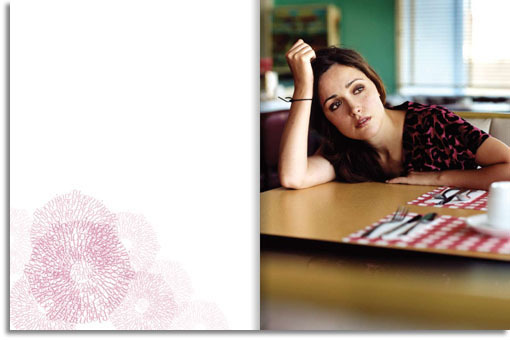 Pub shots of Alexis Bledel next to their comic panel inspiration. 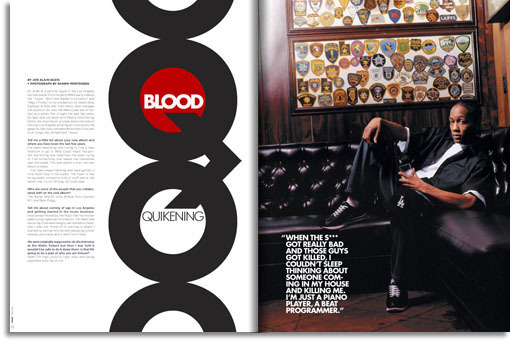 DJ Quik shot by Shawn Mortensen. Maya Rudolph feature. Shot by Melodie McDaniel. 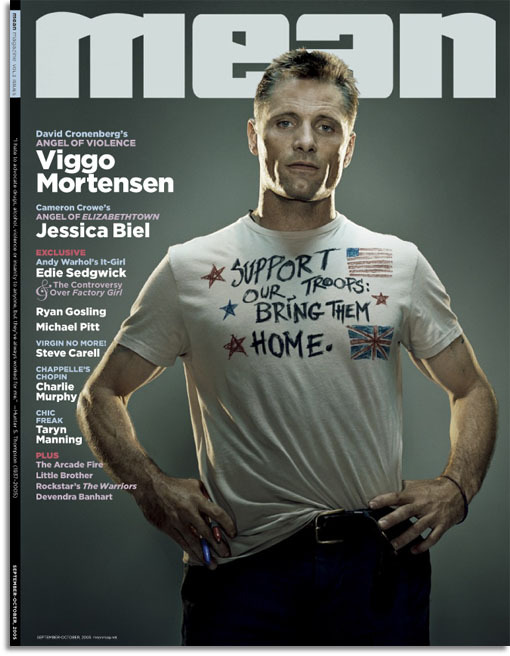 just love the cover of mean with Viggo mortensen on it…..
Mortensen was a generous and patient subject. 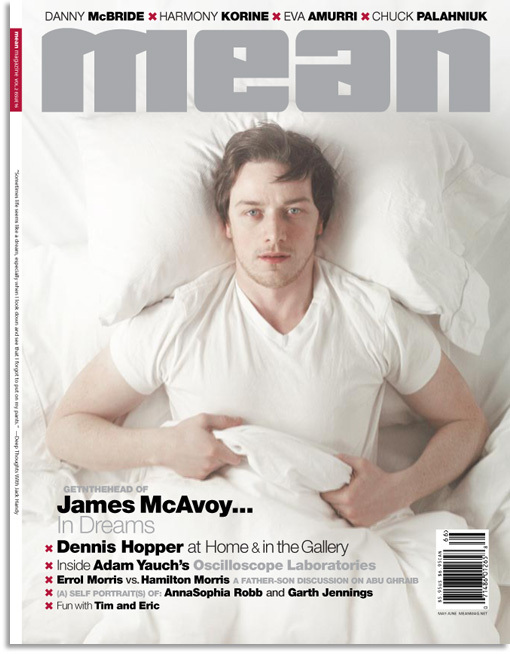 He’s one of my favorite actors and, I agree, this is one of my favorite Mean covers. 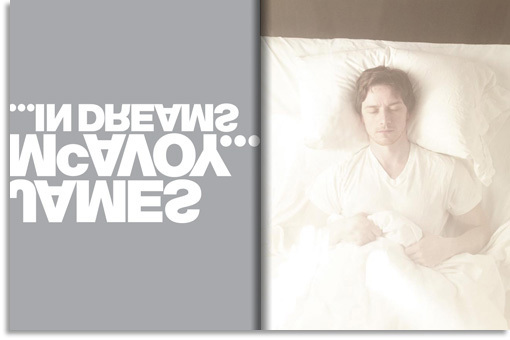 Awesome typography! 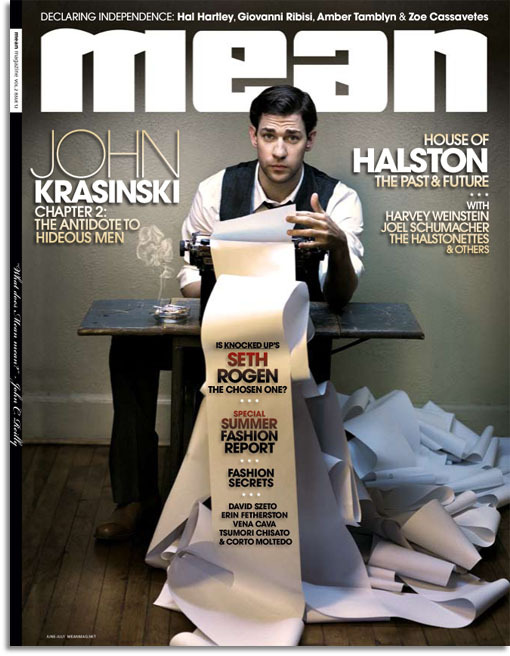 Especially love that John Krasinski one, if only I could meet him for real. Might I ask, what are some of the fonts you use? Thanks! I’ve always struggled with my typography, I have a tendency to be too plain and kinda old-fashioned… For Mean I was recently using the Avant Garde family with the additional ligature sets for most of the display text, but the last few issues I switched to Compacta and Helvetica Neue (the Krasinski cover is set in Helvetica Neue). The scripty type is Bellevue and Bickham. Congratulations on your beautiful covers. 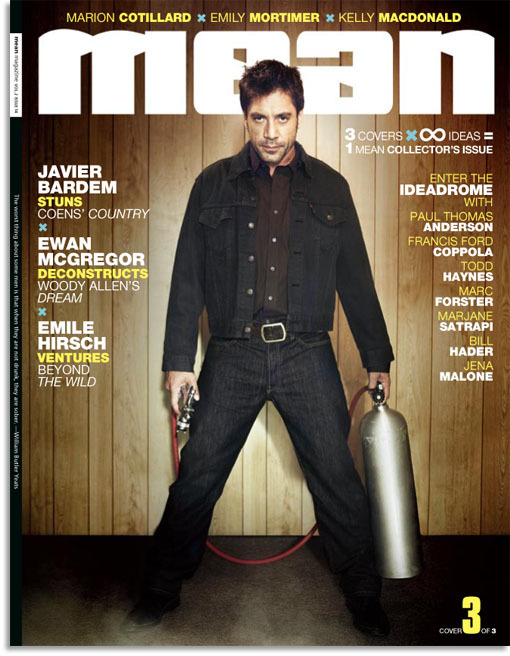 I wish this magazine were available in the UK,unfortunately we’re being saturated with ‘Celeb obsessed’ mag’s instead.